Are you familiar with the book On Food and Cooking (The Science and Lore of the Kitchen) by Harold McGee? This book was invaluable to me throughout culinary school...for research, for definitions, for the science of food. Seriously, it's not just the art aspect of food that fascinates me; I'm enthralled by the science of it all, as well! If I wanted to know how a certain ingredient reacted to another one...or look up a spice or vegetable that was new to me...or even about the history of, oh, say...distilled spirits- it was all in there. I had several books "on call" for this type of purpose...but On Food and Cooking never failed to yield me results when I had a question. SOOOOOO, when I was asked to be a part of the TLC book tour to promote McGee's upcoming release Keys to Good Cooking (A Guide to Making the Best Foods and Recipes), I said yes, Yes, OH YES in a heartbeat! I've said it before and I'll say it again...I love to learn. I thirst for knowledge. I don't believe one can ever know everything about a subject. And although I know a good deal about food and cooking...there's probably even more that I don't know. This books sounds like it's going to be a great guide to have on hand...for both the novice and the experienced cook. It runs the gamut on possible food questions, concerns, and tips. It deals with everyday ingredients, but also caters to the more exotic. It aims to help you become more confident, knowledgeable, and capable in the kitchen...a skill-builder, if you will. I'm clearing a space on my kitchen bookshelf to make room for this almost-600 page book that I can see becoming a fixture in my kitchen. below the boil that firm their texture. the fibers with a thin, juicelike sauce. I can't wait! The book is due to be released on October 28 of this year, but I'm so excited to be receiving a copy for review next month. I'll be posting my actual review in November, so be sure to check back then ...for now, I'm just being a tease. Be sure to keep your eyes peeled for its release...and check out the tour for other opinions and views on McGee's upcoming release! Interested in knowing a bit more about Harold McGee? Well, this excerpt is taken from the TLC website: "Harold McGee writes about the science of food and cooking. 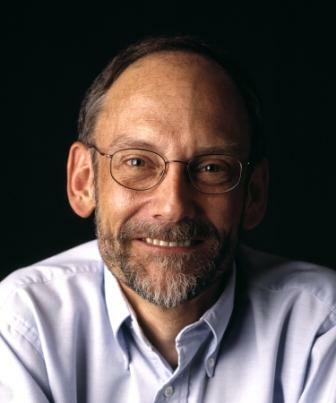 He’s the author of the award-winning classic On Food and Cooking: The Science and Lore of the Kitchen, and writes a monthly column, “The Curious Cook,” for The New York Times. He has been named food writer of the year by Bon Appétit magazine and to the Time 100, an annual list of the world’s most influential people. He lives in San Francisco." Congratulations, Veronica! Please shoot me an email girlichef at yahoo dot com and I will get you your gift certificate immediately! It's electronic, so you can shop as soon as you get it...woo hoo!!! Thanks once again to Novica, as well for providing me with this wonderful opportunity to introduce others to your fabulous site...for allowing me to have a gift certificated to purchase anything my heart desired...and for providing me with the certificate to give one of my readers! This book sounds like an awesome resource! I can't wait to read your full review on it. And I so did not know you went to cooking school. Very cool. Just those tidbits of hints was very helpful. thank-you! And congrats to the winner. I loved reading the tips that you shared with us and can't wait to read more about the book review. It sounds like a wonderful source that should belong in every kitchen. congrats to the winner! that book sounds awesome, i think i'm going to have to snag a copy for myself! Whoa. I can't believe I won! That is crazy. Thank you! Very cool--congrats on getting the book to review--it sounds so educational. I love the tip on boiling potatoes. I usually salt my water b/c my mom told me it makes it come ot a boil faster. I wonder if that's true. Oooh, now I'm off to the library to secure On Food and Cooking. Looking forward to your review of his new book as well. Congrats to the winner and I'm looking forward to your book review! OK, you are a tease!... Just kidding. The book looks amazing--I can't wait to read your full review. It looks like I am going to have to add this one to the list. Congrats to Veronica--lucky girl! She fill have fun on Novica picking her goodies. Looking forward to hearing more about the book! How great that you were asked to take part! 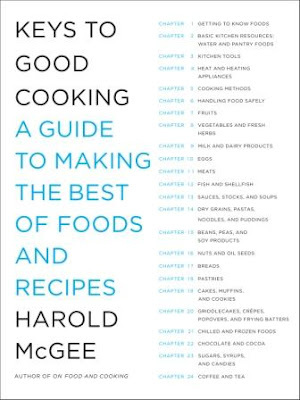 I often refer to our now rather tattered copy of "On Food and Cooking" and will be really interested to hear what Harold McGee has to add. I'm looking forward to your review AND to the book's official release. I'm so glad to have you on this book tour - it sounds like this book is the perfect fit for you! I'll be looking forward to your thoughts on it in November.